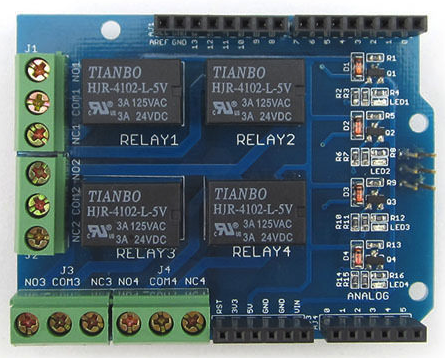 Can anyone recommend an arduino relay shield that has two or more channels that can be used on a pixl.js? I was looking at: https://m.seeedstudio.com/productDetail/­2440 but im not sure if that will work safely with the pixl. @d0773d, are you in it for the quick and easy, or are you up for a minor technical challenge and learning experience? 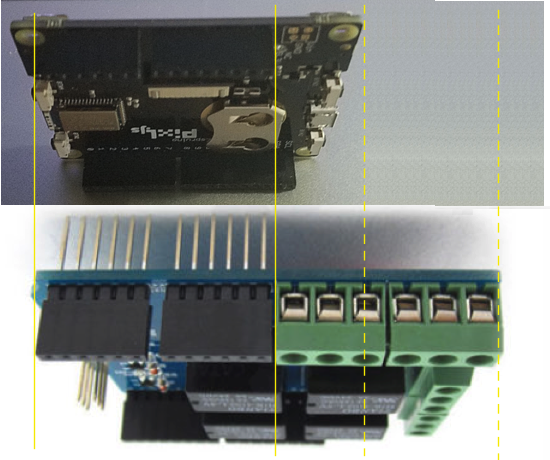 Where it mentions that it works fine on 3.3v Arduino boards. There also seem to be a load of relay shields in that kind of layout/form factor - eg this one on eBay that look promising. I've ordered one to check it out - it's possible their little transistor circuit works in such a way that it tries to put 5v on Pixl.js's IO pins (which wouldn't be good news), but if they're sensible it should be fine. If you can find any example code and sending a 1 turns the relay on then you should be fine. Ok, I can confirm - I got this relay shield that says CAIALEX Relay Shield V1.0 catalex.taobaocom on the back. It works perfectly - you just need to connect the Vin and 5v solder jumper on the Pixl.js (or manually add a patch wire to the sockets on the top of the relay shield). Thank you guys for your responses! I will hunt around ebay for the shield. Also Gordon, thank you for the writeup seems rather straight forward.